Guitar Trek were the first group specifically formed to use the pioneering, unique family of guitars of different sizes – treble, standard, baritone and bass guitars developed by the Australian luthier Graham Caldersmith, OAM. 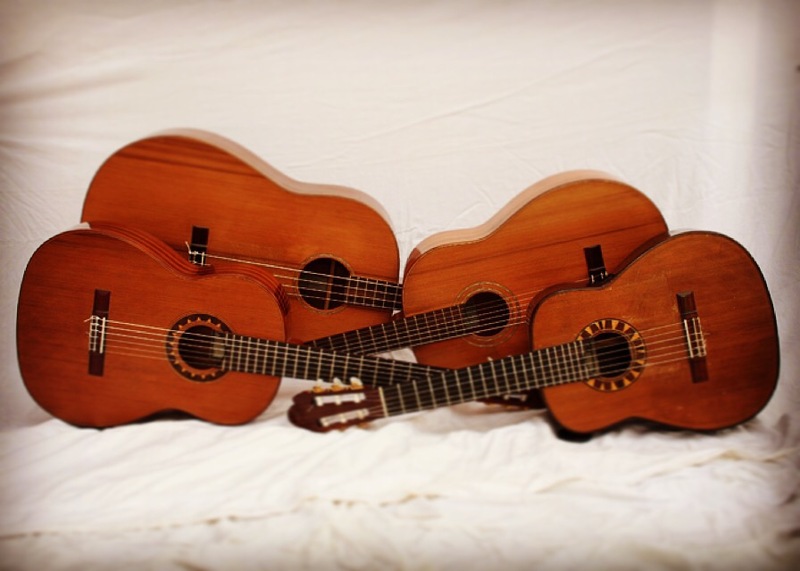 Graham Caldersmith​ is regarded as a pioneer of Australian guitar design and he is most proud of designing the “family” of classical guitars which creates more colour, dynamics and gives the ability to play a much wider range of music. These instruments have opened up an undreamt world of sound and creative possibilities for the guitar which has since seen an offshot of ensembles emerge formed in the same style, including Australian quartets Saffire and the Melbourne Guitar Quartet. Guitar Trek’s commitment to these instruments and their use in varying combinations, in an array of stunning new repertoire developed for almost three decades, represents a major new direction for the guitar quartet in contemporary chamber music. While the newly developed instruments remain closely related to the standard guitar in design, the resulting four-voiced ensemble has a range of over five octaves, creating a stunning larger than life aural spectrum of all the guitar’s most appealing timbral qualities. The instruments have all been constructed with the use of Australian maker Greg Smallman’s groundbreaking lattice design, viewed by many as the most important development in standard-guitar construction since Antonio Torres in the 1850’s. The instruments have a striking visual impact, a richness of colour and depth of sound that have captivated audiences world-wide. Guitar Trek plays standard guitars by Greg Smallman, treble guitars by Eugene Philp and Greg Smallman, and baritone and bass guitars by Graham Caldersmith.